Why use a saleyard to sell your livestock? Producers have many options when it comes to selling their livestock. Of course the focus is on maximising returns for their work and investment in getting livestock ready for sale. Saleyards are one option and there are a number of reasons why this is a good option, but there are also several things to look out for in saleyards to ensure your livestock are presented in the best light so you achieve the best price. Saleyards create competition and are the true price setter for the industry. The auction system encourages bidding with stock going to the highest bidder. In contrast, selling direct to abattoirs reduces travel for stock and does not attract a yard fee, and the price is known before the stock leave the farm. The price is set and may prove better if a market is slowing, but if prices are trending upwards, a saleyard often achieves a better result. The costs associated with selling through the saleyard are offset by the higher price attracted. So what are the key elements of a saleyard? The larger the offering of livestock, the larger the pool of buyers is likely to be. More buyers creates more competition and better prices. 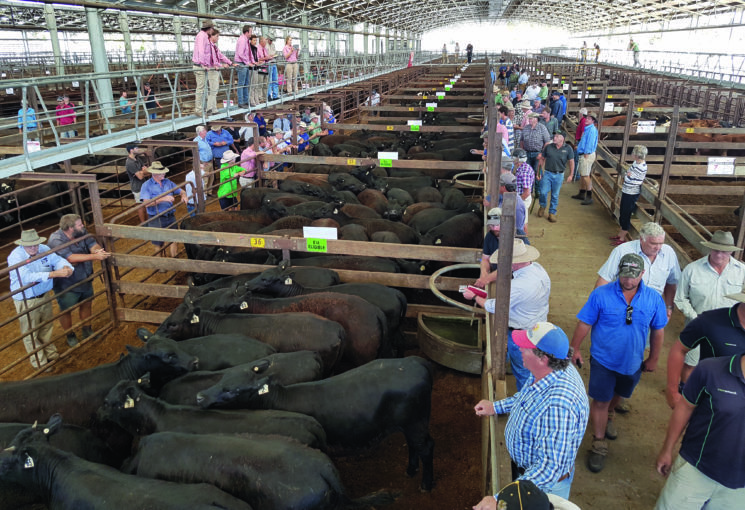 Better prices attract more producers to use saleyards as their selling option and you can see the vendor/buyer relationship is critical and strengthened through increased numbers. Selling livestock through a saleyard creates some extra handling, so it is important that the facility is well designed. Ideally it should offer shade, particularly for cattle, soft flooring for cattle and fresh water. It should be well designed for ease of stock handling and to minimise stress and bruising. Stock should be easily unloaded and loading out facilities need to be well designed to minimise time and effort, enable transport operators to work safely, and to ensure livestock can be moved out to their next destination quickly. The National Saleyards Quality Assurance (NSQA) program was developed in 1996-97 to provide the saleyard sector of the livestock industry with a quality assurance program linking the sectors of industry from the ‘paddock to the plate’. NSQA is third-part audited by AUSMEAT. This provides a robust framework that gives vendors and buyers confidence when selling and purchasing at an NSQA accredited saleyard. Australian beef producers have the opportunity to supply cattle for the European Union supply chain, provided they meet the market’s requirements around traceability and HGP-free status. The European Union (EU) offers a reliable, high-value opportunity for Australian beef, despite access to the market traditionally being restricted due to tariffs and quotas. EU accredited saleyards allow vendors to sell to this market. Many saleyard owners are making significant investment in their facility and their operational staff to provide a quality selling centre. Producers work hard to grow good livestock and saleyards are a good option with professional auctioneers, security of funds and prompt settlement.